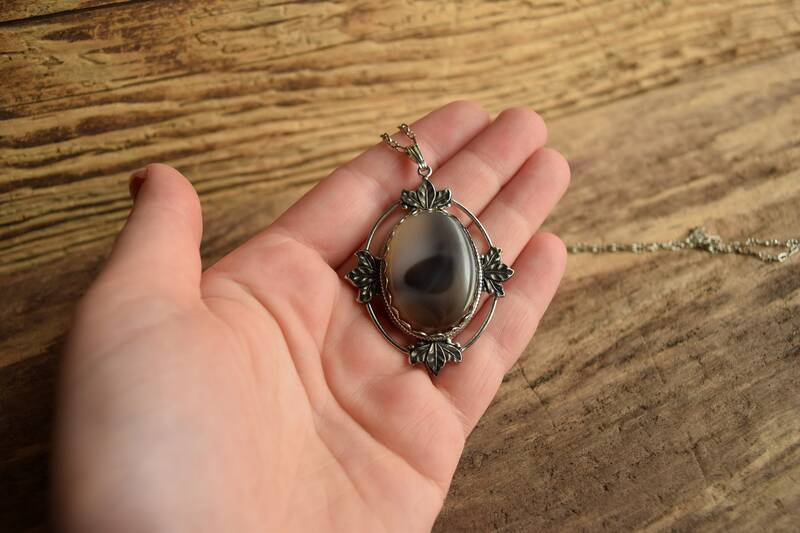 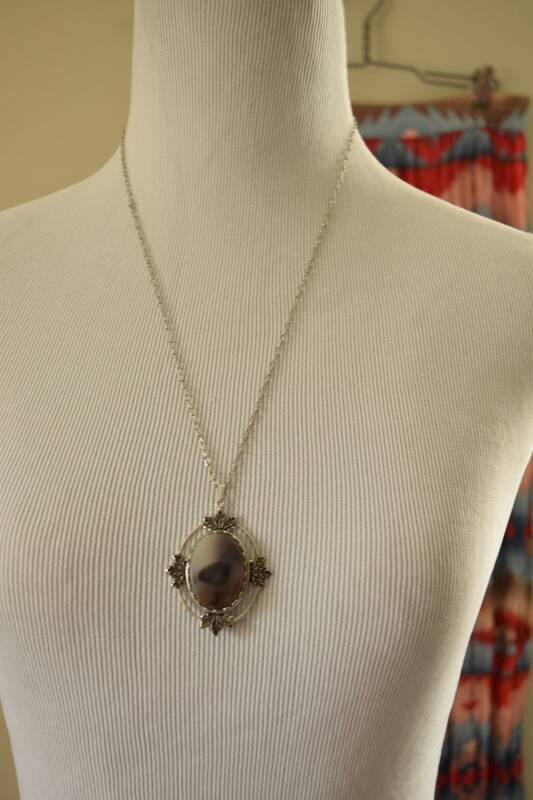 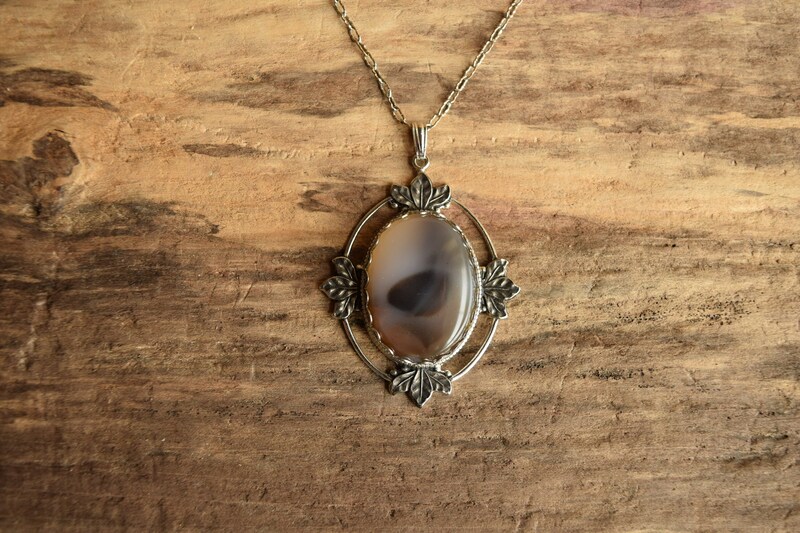 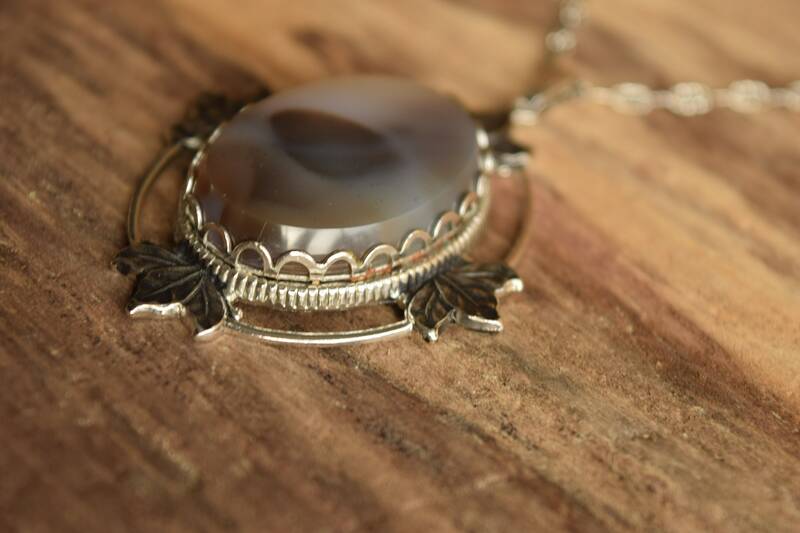 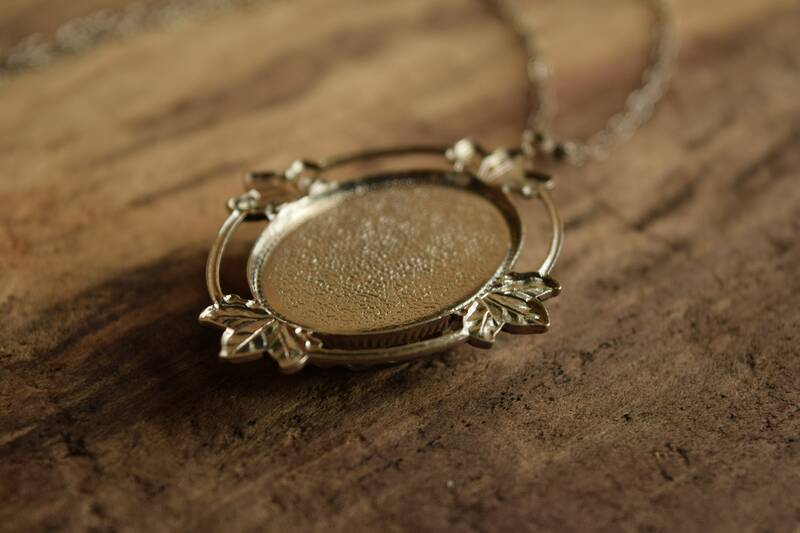 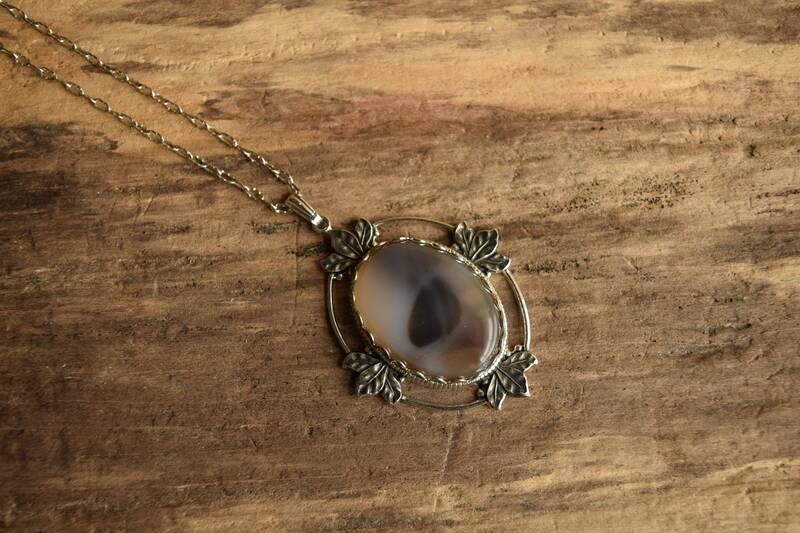 This necklace features a beautiful agate stone showcased in a leafy silver toned setting. 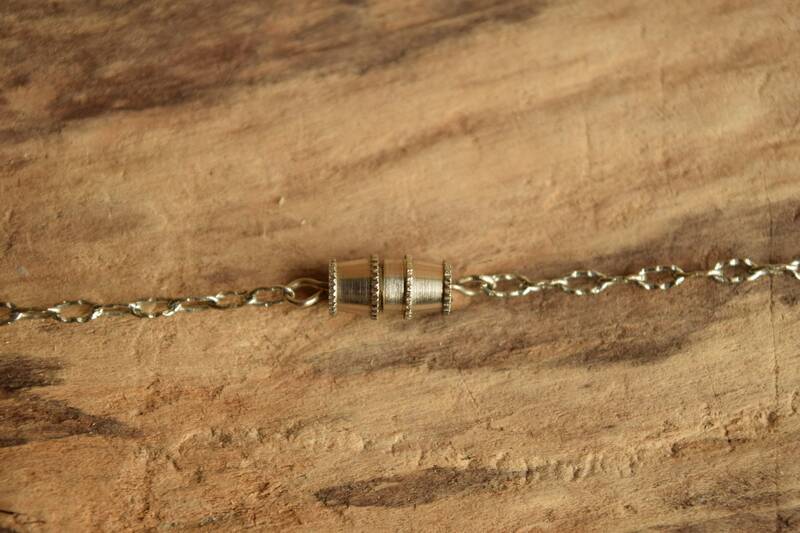 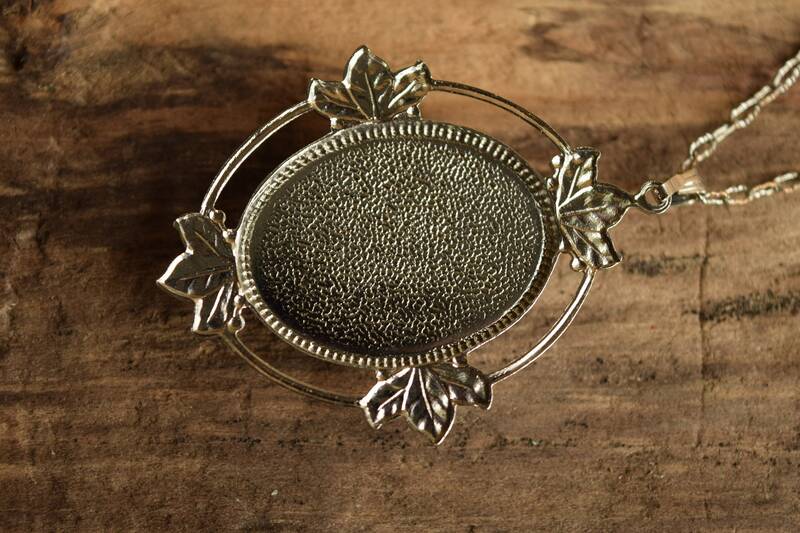 It is approximately 23 inches long and a wonderful necklace for work or play! 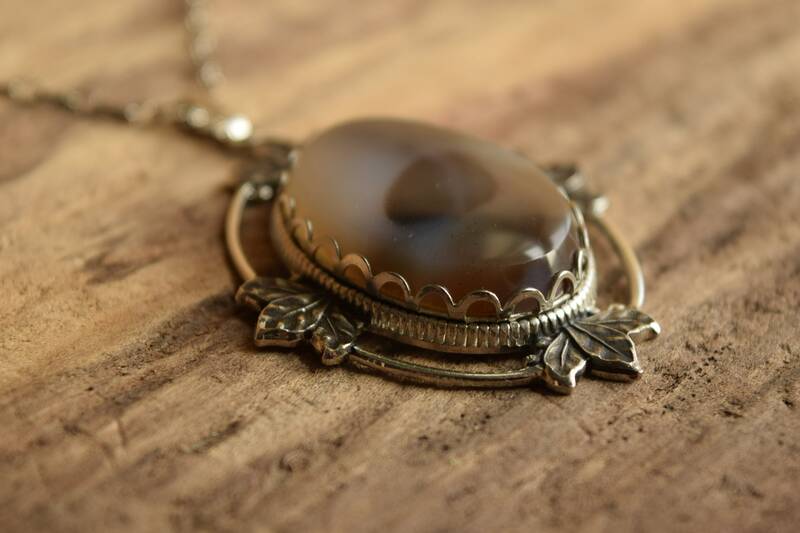 Condition: Stone is in excellent condition, some wear near edging. 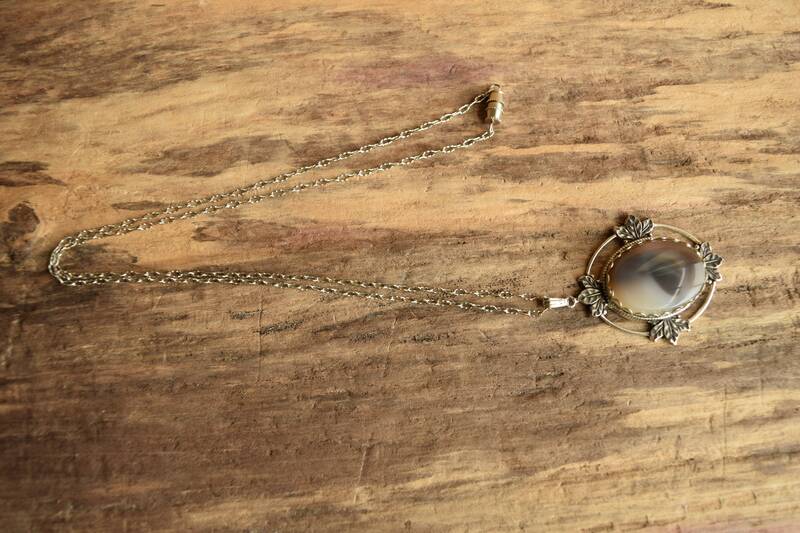 Overall a lovely necklace.